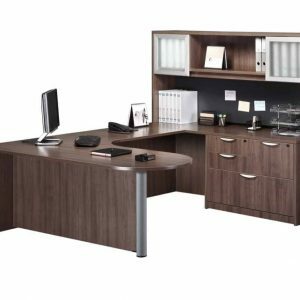 The Pimlico 7020 Laminate Collection features a deep Mocha finish with Satin Aluminum hardware as well as Satin Aluminum framed bases and frosted-glass modesty panels. 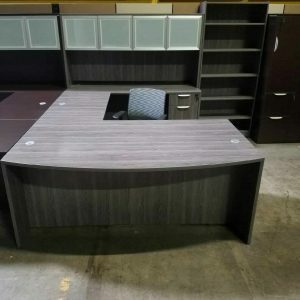 A “floating top” look is achieved by a contrasting Satin Aluminum recess and recessed-angle top edges. 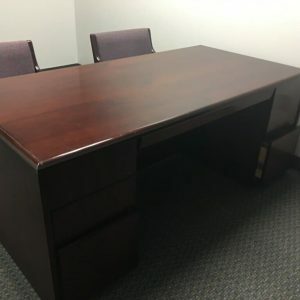 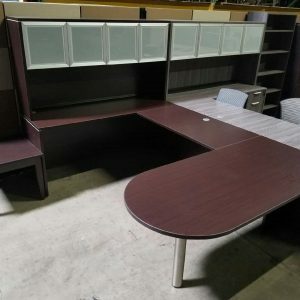 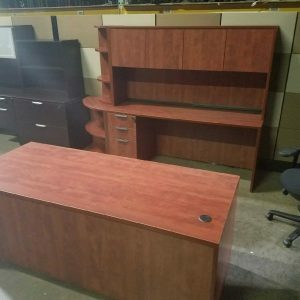 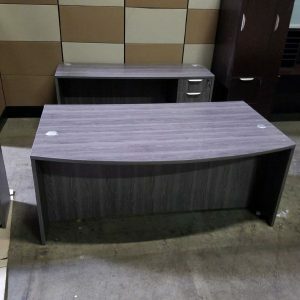 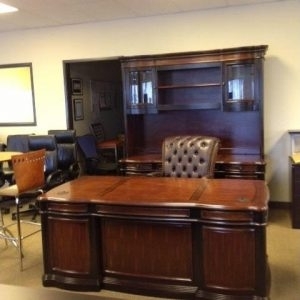 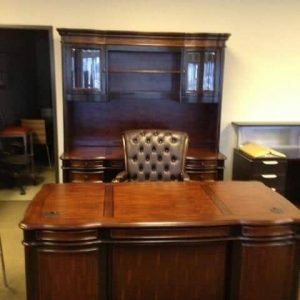 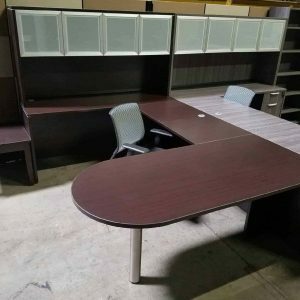 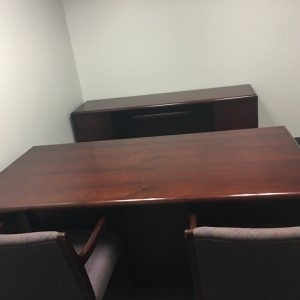 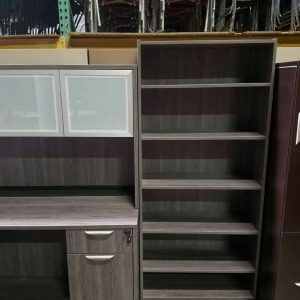 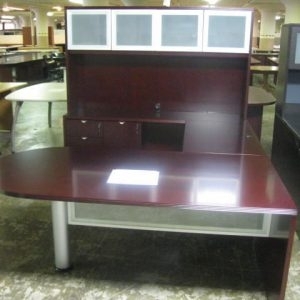 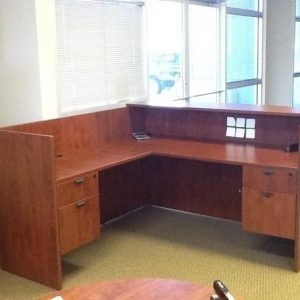 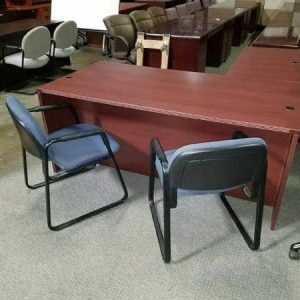 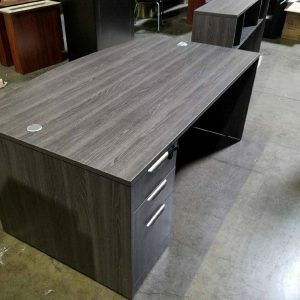 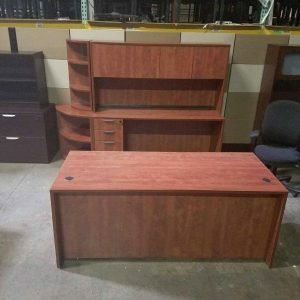 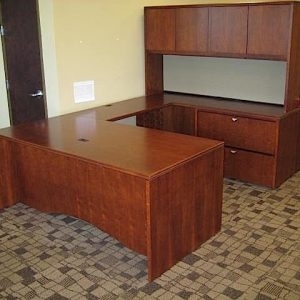 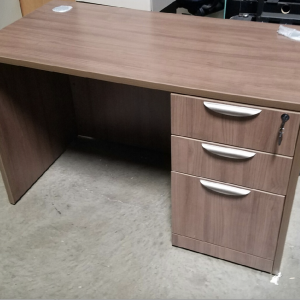 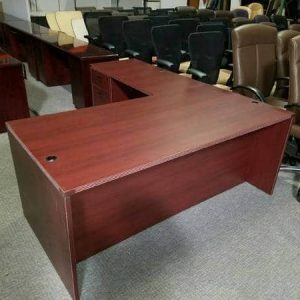 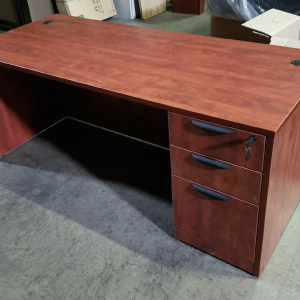 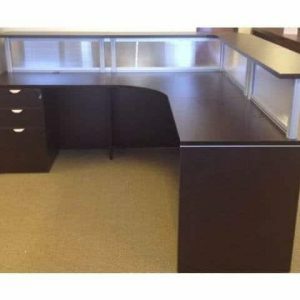 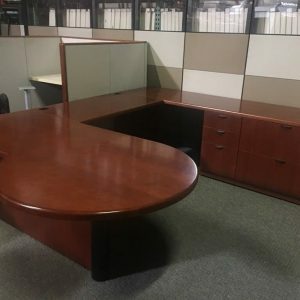 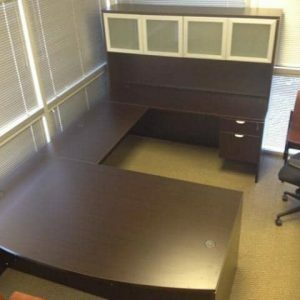 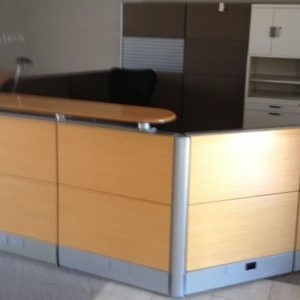 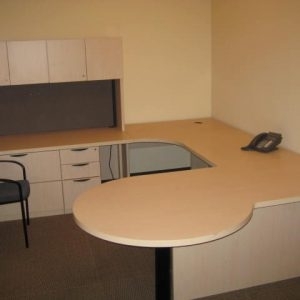 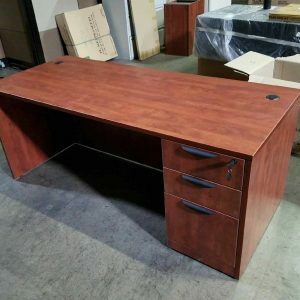 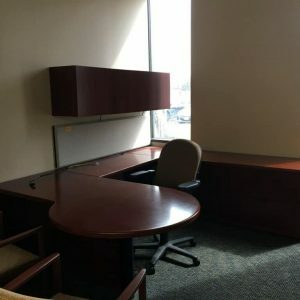 We offer a huge selection of new and used office furniture in the Dallas/ Fort Worth Area. 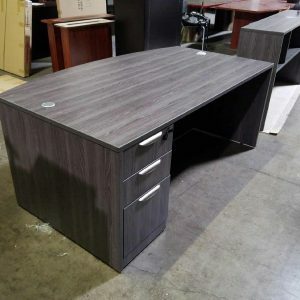 We ship nationwide, and offer delivery anywhere. 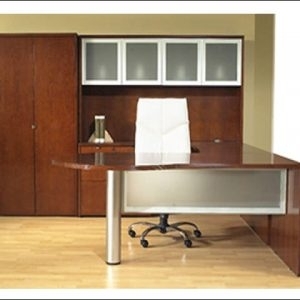 • Organizers with desk hutch.